Could a moon orbit two planets at once? Let's say you had a binary planet system of two earth-sized worlds with about the same mass. Could a stable moon orbit around the barycenter of both planets? If so, is there a limit to the mass of such a moon? Would it have to orbit in a Lagrangian point? 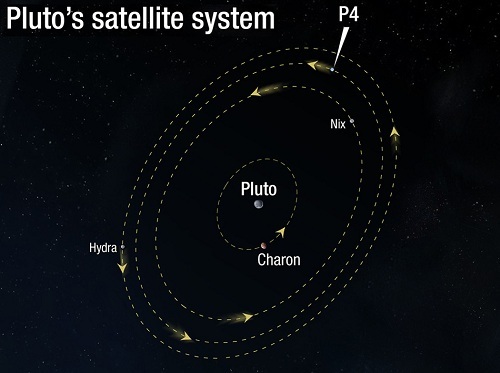 The Pluto-Charon system is similar to this. It's unlikely that you'd have two planets of nearly the same mass because some variation is far more common, but a moon orbiting a binary planet system is certainly possible. It's easier if it's not that close to the sun, for the same reason that it's difficult for Mercury and Venus to have moons. A larger hill-sphere and less solar gravitation would make your system more stable in the long term. 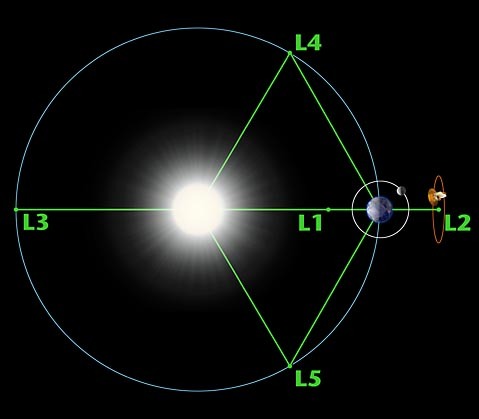 And the Moon couldn't be in a Lagrange point in your system because, for starters, L1, 2 and 3 are never stable and the potentially stable Lagrange points, L4 and L5 require a large central planet and a significantly less massive object, (less than 1/26th the mass) orbiting the central planet. The L4 and L5 points are to the orbiting object. That doesn't work in a binary system of 2 objects of similar mass. Any working Lagrange point scenario you'd have two moons and one planet, not binary planets and one moon. You could, in theory have two moons at Lagrange points to each other orbiting a binary planet system but that would be adding even more improbabilities, but theoretically possible and stable for some time. Circumbinary configurations can be stable over long time periods, but in general they are a less stable configuration than "two moons orbiting one planet"
To increase the likelihood that the configuration will be stable, the two planets should be in a tight orbit (which can be unstable itself) and the moon should be distant and small. To get the moon to be distant enough the whole system should be distant from the sun. Not the answer you're looking for? Browse other questions tagged natural-satellites or ask your own question. What of the following moon-situations would be better? Is there a timekeeping word for the orbit of a moon? Could a binary system of two planets with oceans reflect each other? Could a moon be passed from one planet's orbit to another?